While the power transformer in my previous post may have lasted for years, it ultimately still succumbed to poor design and the transformer is widely regarded as a weak point in Zenith sets. Cost engineering to pick the exact right time of failure has gotten considerably more precise since then. The warranty on the array controller in my enterprise backup server expired on Jan. 2, 2011 – just over two weeks ago. Today, a surface mount capacitor decided it had enough, I’m impressed with how close to the end of the warranty it lived. My last computer was dead-on perfect, though. 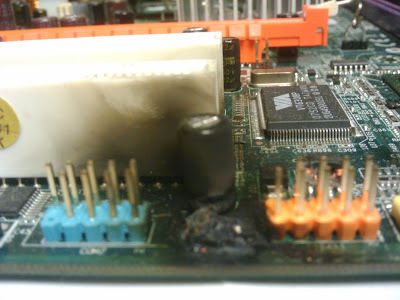 A voltage regulator at the base of the board decided to end its life in a spectacular fashion while playing an online game, releasing the smell of ozone into my apartment and leaving me staring at a black screen for a minute wondering if my computer really did just explode or I was imagining it. The time of death? One day outside the warranty period. 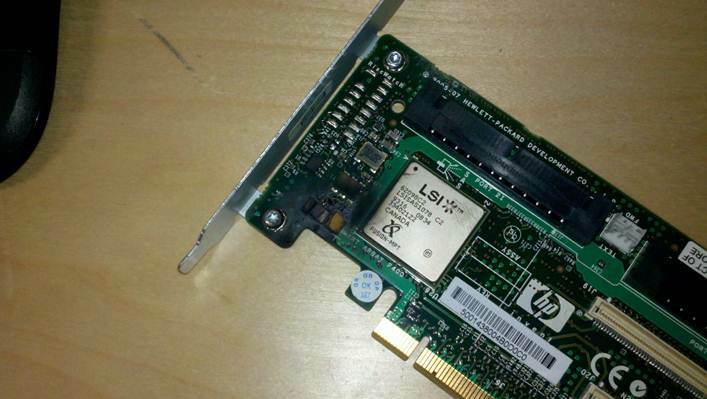 This entry was posted in Commentary, Hardware, Technology and tagged cost engineering, fried electronics, RAID controller. Bookmark the permalink.